We can now add The King Of Kong: A Fistful Of Quarters to the list of documentaries that have affected real-world change. Sure, it didn’t get anyone released from prison or anything, but now, more than a decade after director Seth Gordon introduced the world to modest underdog Steve Wiebe and flashy arcade-game superstar/hot sauce salesman Billy Mitchell, Wiebe has ultimately triumphed. Variety reports that Twin Galaxies, the Iowa arcade that serves as the center of the competitive arcade-gaming universe, has stripped Mitchell of his Donkey Kong high score, after finding that he had used emulation software to achieve his famous score of 1,047,200. (Twin Galaxies requires arcade records to be set on original arcade machines.) Not only that, but it’s stripped Mitchell of all his high scores, and banned him from submitting future scores for video-game records. 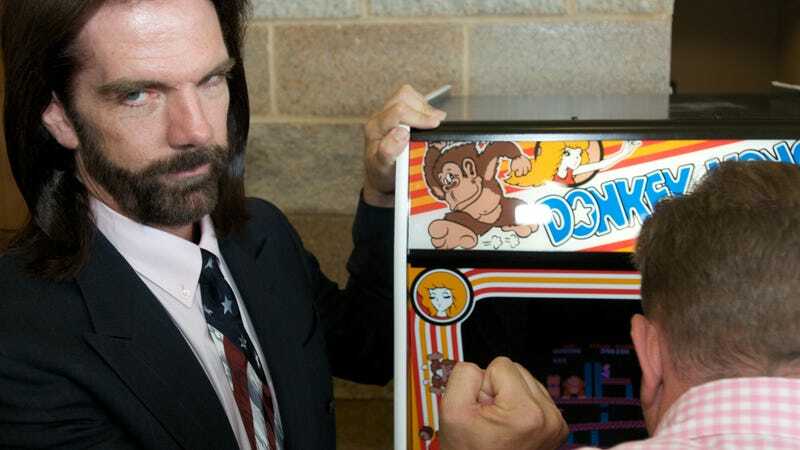 “With this ruling, Twin Galaxies can no longer recognize Billy Mitchell as the first million point Donkey Kong record holder,” the group writes in its announcement. “According to our findings, Steve Wiebe would be the official 1st million point record holder.” The arcade says it has contacted the Guinness Book Of World Records about stripping Mitchell of that record, too. The ruling comes after a complaint was filed against Mitchell back in February, which prompted Twin Galaxies’ months-long investigation into whether Mitchell cheated. As we noted then, this is all very much after the fact, as neither Mitchell nor Wiebe are even close to the latest Donkey Kong high score, currently held by one Robbie Lakeman. Still, this must be sweet, if delayed, justice for Wiebe. You can read Twin Galaxies’ very lengthy, endearingly nerdy full statement on the scandal and resulting investigation over at Variety.